This is our blog. We write about the web, design, and development. Want something in 140 characters or less? We do that, too; follow us on Twitter. 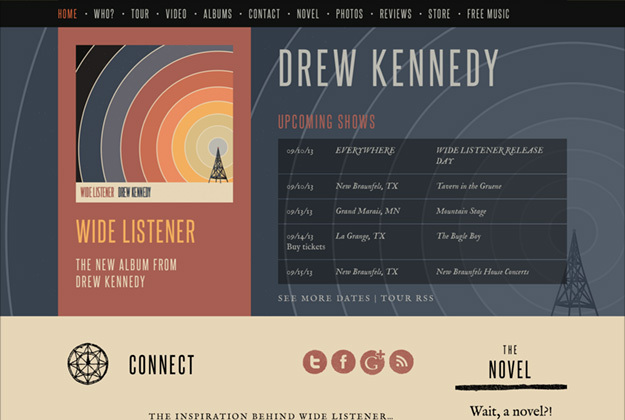 Two years ago our buddy, singer-songwriter Drew Kennedy, asked us to design his new site. 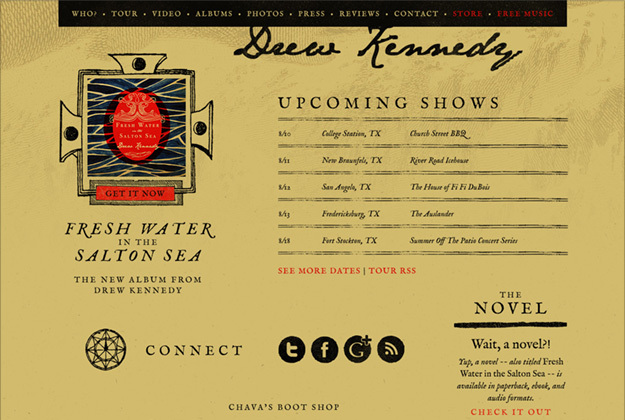 He had a new album and companion novel on the horizon and wanted a web presence to match. It was one of the first responsive sites we designed and helped us formulate techniques and processes we still use. Fast forward to early summer this year. With a new album, we had another opportunity to work with Drew on his site. Still happy with the site we had built, we decided a small refresh to match the album’s artwork was all that was needed. Below is the before and after. Today, he released his sixth and best album to date, Wide Listener. Stream the opening track below and check the rest out on iTunes.